Photo by Britt St. George. Five-time Olympic medalist Nastia Liukin splits her time between L.A. and Boston, where she runs an app called Grander, connecting young female athletes with other athletes, their idols, and inspiring and educational content. 10 years after winning gold at the Beijing Olympic Games in 2008 for the gymnastics all-around, she says she’s recommitting to her health. Liukin always starts her day with a glass of water and lemon and bulletproof coffee, which she says she loves. Her fiancé, Matt Lombardi, turned her on to the butter coffee, which is typically made with ghee and MCT oil, and she says she has it three days a week. 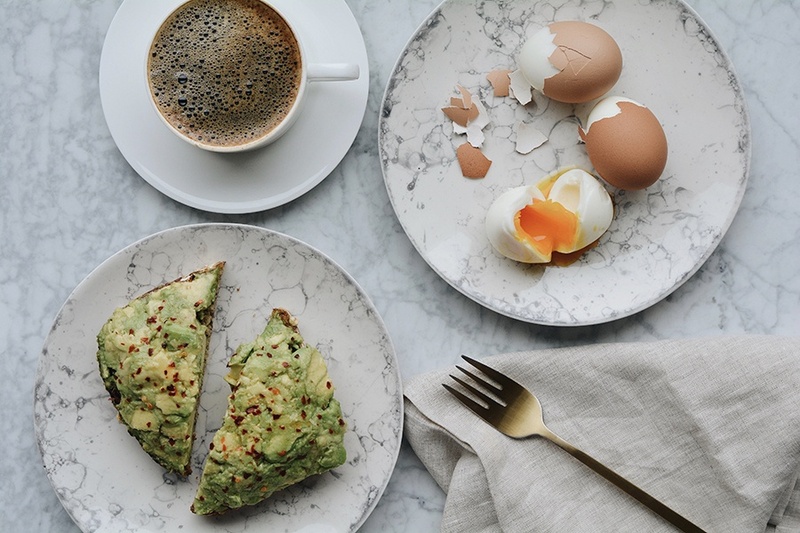 Her go-to for breakfast is avocado toast and hard boiled eggs or scrambled eggs and oatmeal with berries.